There it is on the Travel Alberta website: "Welcome to Alberta, home of the largest wolf cull in Canada, where the tax dollars our government gleans from your tourist visits pays for our hired guns to blast wild wolves from the sky, all in the name of psuedo-science." Oh, I'm sorry, apparently that's not exactly what the Alberta tourism website says. After closer examination, the "Welcome to Alberta" part is correct, but the real wording goes on to gush about how "Alberta is an exceptional vacation destination you won’t soon forget, filled with unique activities, urban charms and cultural jewels." I wonder if those "unique activites" include the killing of over 1,000 wolves in the Little Smoky caribou range since 2005? Trapping, hunting, poisoning (who the F**K still allows poisoning in the 21st century?!!! YAYYYY, Alberta does!! ), and once again this winter, aerial gunning, all paid for by me, you, and every single tourist that has ever stepped foot into this gorgeous province. So why are they killing wolves as fast and furiously as they can in the Little Smoky? All in the name of 'science', in order to protect one of the most critically endangered boreal caribou herds in the country. 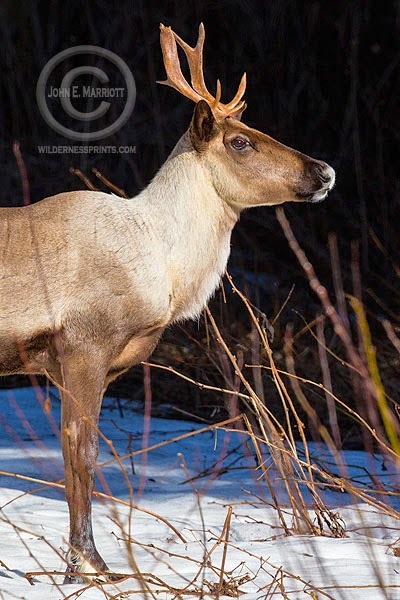 The Little Smoky, a 2500-square kilometer area just north of Hinton, Alberta, is home to between 60 and 80 boreal woodland caribou, comprising the southernmost herd of boreal caribou in the province. 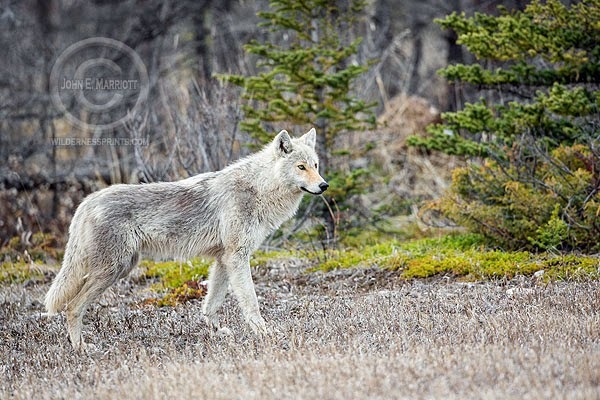 Like most of their counterparts across BC and Alberta, the Little Smoky herd has seen a precipitous decline in their numbers over the past few decades, due to a striking increase in industrial development including roads, seismic lines, pipelines, cut blocks, and well sites, which in turn has led to higher mortality from wolves. So how are the two connected? How has the mass-scale industrial expansion in the Little Smoky range led to an increase in caribou killed by wolves in the area? The increase in predator access and predator efficiency in industrially-developed caribou range can be traced to two key factors: first, the roads and seismic lines and similar linear features needed for oil & gas exploration, well site construction, and logging, make it easier for wolves to get into caribou range and increase their ability to hunt effectively (it's a lot easier walking on a plowed road than it is trudging through a meter of snow). Second, the removal of old-growth forest in the Little Smoky has caused a change in the prey-base of the area; the new growth in the cut-blocks has resulted in an increase in prey species like deer, elk, and moose, which in turn has led to more wolves coming in to the area. Combine those two factors and you have wolves suddenly living close to caribou with plowed roads and right-of-ways making their access to the area easy. Two hundred years ago the caribou survived by simply being in areas where there weren't many wolves, but now in the Little Smoky and across much of the woodland caribou's range in Alberta and BC, industrial development has changed the game. And caribou are losing. Just how heavily developed is the Little Smoky? The Federal Government's recent recovery strategy for boreal caribou noted that just 5% of intact habitat still remains in the Little Smoky range. Back in 2001 and 2004, researchers sounded the alarm for the Little Smoky herd, calling it a "population in imminent danger of extirpation" due to industrial development with "high levels of human disturbance resulting from forestry and oil and gas activity." Not surprisingly, the Alberta government continued to give out development permits to both industries despite these initial warning calls. 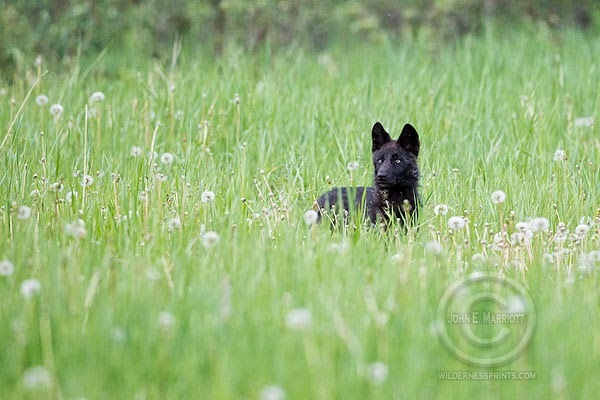 In the winter of 2005-06, the Alberta government initiated its first aerial wolf control program in the Little Smoky, despite once again continuing to hand out development permits for new well sites, new cut blocks, new seismic lines, and new roads. At this point in 2015, the Alberta government has now funded the death of over 1,000 wolves since 2005 in an attempt to save the Little Smoky caribou herd. What they have not done is limit the all-encompassing industrial development in the region. Instead, they have stuck a very expensive band-aid (how much do you think it costs to send hired guns into the air in helicopters and kill 100 wolves a year?!) on a gushing wound and expected us all to turn a blind eye to the blood pouring from the edges of the bandage. The real issue, as I think everyone knows at this point, is that the Alberta provincial government has been ignoring conservation groups, scientists, and even federal calls for a caribou recovery strategy (they are already a year late with no plan in sight) and continues to this day to allow new development in the Little Smoky. We're now at a point where we may be up to thirty years away from being able to effect a habitat change that would truly benefit caribou enough to see a population increase (provided of course we kill every single wolf in the region until then). Worst of all in this issue is that the provincial government in Alberta is using wolves as their scapegoats for a human-caused problem, killing wolves and their families en-masse on my dime and on your dime, using taxpayer and tourist dollars. "The underlying issue is one of habitat loss which affects caribou... Wolf-control programs...do not provide a long-term solution to counter caribou declines. 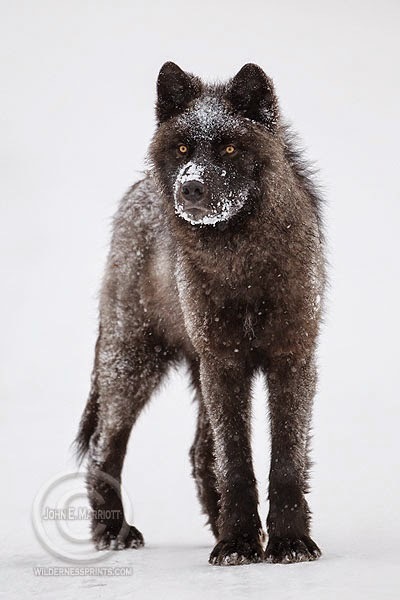 Studies in Alaska, the Yukon, and northern British Colombia have shown that this method resulted in only short-term increases in ungulate populations because wolf populations increased shortly after culling was ceased (e.g. Boertje et al. 1996, NRC 1997, Bergerud and Elliot 1998, Hayes et al. 2003). 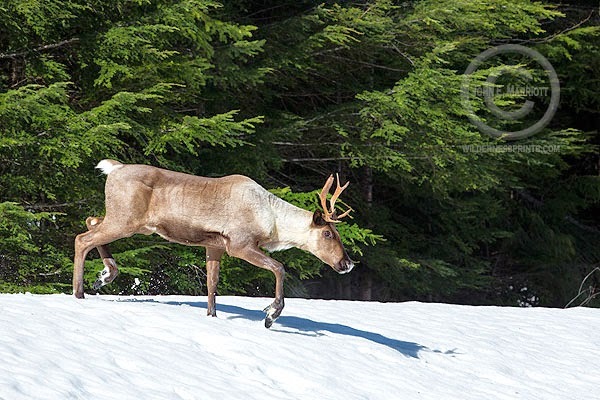 The management strategies currently in place have the potential to increase caribou survival if applied continuously but they do not address the main issue of habitat loss, habit degradation, and habitat fragmentation." The most up-to-date research is showing that the wolf cull "has barely managed" to keep the Little Smoky caribou herd stable, despite the deaths of a thousand wolves at an untold financial cost to taxpayers (though I would venture that it must be in the millions of dollars at this stage). CBC News reported that many of the province's top caribou scientists found that the wolf cull has allowed the Little Smoky herd to hang on, but that the habitat is indeed more than 30 years away from being restored and that restoration in many parts of the Little Smoky has not even begun. In fact, industry's footprint has continued to grow in the area, even in recent years, and industrial leases continue to be handed out throughout other endangered caribou ranges in Alberta. Originally when I first entered this debate, I felt that until the provincial government comes up with a legitimate plan to save the boreal caribou herds like the Little Smoky, then we should be fighting this inhumane wolf cull tooth-and-nail. And I definitely still feel that way, however, there's a problem with focusing solely on shutting down the wolf cull. If we fight vigourously to get the cull shut down, wolves and other factors will almost certainly very quickly wipe out the remainder of the Little Smoky herd. Oil and gas and forestry will have their way, the caribou will be gone, and industry will continue to run rough-shod over the Little Smoky and the remaining viable caribou ranges in the province. Are we willing to let that happen? I can say one thing for certain, I'm not willing to sit around and do nothing while I watch the Alberta government continue to plunder away our money while murdering wolves as a stop-gap measure allowing the Little Smoky herd to 'exist' on the fringes of extirpation. What I believe we need to call for is a comprehensive plan moving forward that not only immediately stops killing wolves in caribou recovery areas, but immediately enacts long-range plans for habitat mitigation measures that are tougher than anything industry has ever seen on this continent. The Premier of Alberta claims we need to be environmental leaders or risk being left behind, so let's show them how it's done, Mr. Prentice. No more logging in caribou habitat, no more roads, no more recreational access, no more oil and gas development. Deactivate and remove many existing roads, and well sites. Limit all recreational access, no atvs, no snowmobiles, no skiing. Are we willing to take these seemingly drastic steps? If we are, then we can also begin a large-scale captive rearing program that will reintroduce caribou back in to the Little Smoky range 30 years from now when the habitat has been restored, and in the meantime we can all sleep well at night knowing that we didn't bear witness to the slaughter of thousands of wolves as a stop-gap measure that never did work. There is no point in killing wolves now to let these caribou in the Little Smoky survive when they have no future there right at this moment in time. We may pay a price in the short-term financially, but if we enact a tough new plan that recovers that habitat, the environmental benefits will be through the roof. A long-term caribou recovery plan with sharp, biting teeth will ensure that other herds in Alberta that aren't yet facing the same dire circumstances as the Little Smoky herd can not only survive, but quickly thrive in their newly protected habitat; safe from human disturbance, and by default, safe from wolves (without the roads and logging, there simply won't be many wolves in these areas). As these caribou populations stabilize and eventually start to grow, we can put our caribou rearing program into place and slowly start to reintroduce caribou back in to the Little Smoky and any other restored areas that they had disappeared from. It's a win-win-win...caribou win big and survive in the province. Wolves win and are no longer persecuted unfairly as a scapegoat in a fight they didn't start. And best of all, Alberta and the rest of the world wins BIG. If we can convince the government that this is the plan we need, then we will truly be the environmental leaders that our premier hopes we can be. And better yet, write to or email the Premier of Alberta, call his office, or send him a message on Facebook or Twitter, and let him know that you want the wolf cull stopped and a long-range caribou recovery plan implemented immediately. Feel free to tell him that you'll stop visiting Alberta and spending your money here if you feel strongly enough and are from out-of-province. If you're from Alberta, tell him how it makes you feel knowing that your taxpayer money is killing wolves while stalling on delivering a real strategy for caribou recovery. Send him this blog link and see if he responds. And tell him that you truly hope he does turn Alberta into environmental leaders in the world with a decision moving forward that will reap benefits for all of us. Be sure to include the Minister of Alberta Tourism, Parks and Recreation and the Minister of Alberta Enviroment and Sustainable Resource Development on your correspondence if you email or write a letter to the Premier. And of course, the more Comments we get below, the more ammunition we have to present to the Government of Alberta, so please feel free to voice your opinions below.